He has two degrees under his belt, along with 15 years of working in clinical medicine. But Dr Ranj Singh has claimed that taking part in Strictly Come Dancing has been the hardest challenge he's had to face yet, while speaking with MailOnline at the Gay Times Honours, held at The Walker Art Gallery in Liverpool on Thursday. 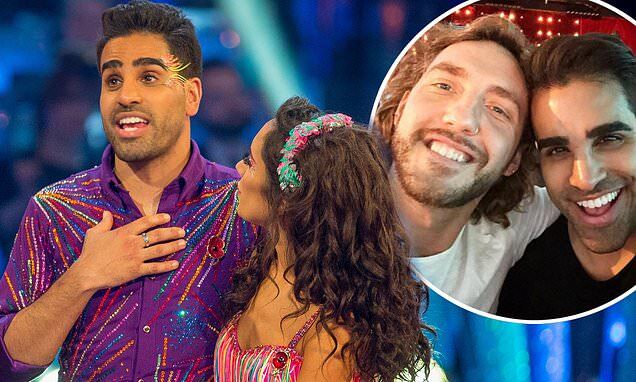 The TV personality, who found himself kicked out of the BBC series on Sunday night, admits Strictly took its toll on him 'mentally and physically', as he touched on the show's 'curse' while standing by Seann Walsh in the wake of 'kiss-gate'. Ranj had been partnered with Janette Manrara on the show and admits he was left 'shocked' over their exit, after throwing himself into their latest routine. The duo had performed a samba to Freedom 90 by George Michael, but narrowly missed out on staying in the competition, as the judges - bar Craig Revel Horwood - opted to save Charles Venn instead. Sharing his shock and sadness over the decision, Ranj told MailOnline: 'I wasn’t ready [to go]. We had danced our socks off that week and scored seven points higher than we had done the week before. Despite being sent home, Ranj insisted that Strictly has been 'one of the best experiences I've ever had' but was quick to add: 'It was one of the hardest things I have done in my life. And I have done two degrees, and I’ve worked in hospital, in clinical medicine for 15 years.